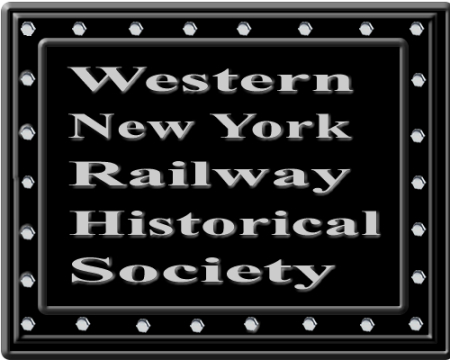 The Western New York Railway Historical Society, WNYRHS, is striving to preserve Western New York's rich railroad heritage and history. Through the restoration and preservation of steam engine - PRR I1sa #4483, NYC 1102, BC#43, NJ#15, Two Depots, other rolling stock, cabooses from 6 major railroads, and the further development of the Heritage DiscoveRY Center as an interpretive museum to house hundreds of railway artifacts. or for $13.50 with shipping if ordered through the mail. Center. Click the Calendar for a Printable Order Form. LOOK BELOW FOR QUICK LINKS TO UPDATES ! We Invite You to Come on ABOARD ! Clip Art Courtesy of "Media builder" and "Railroad Historical.Net"